Overview… a young boy whose his first and only love is Atlantis. 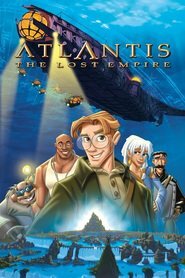 Driven solely by the thought of discovering the lost empire, he doesn’t think twice about joining an expedition to find Atlantis. But, he really shouldn’t trust strangers so easily. Personality… loyal, smart, and clumsily straightforward. Milo is a very upright and dedicated young man. While well intentioned, he often causes trouble for other people. However, his unswerving loyalty attracts others to his cause. Milo Thatch's popularity ranking on CharacTour is #1074 out of 5,000+ characters. See our top-ranked characters and read their profiles.